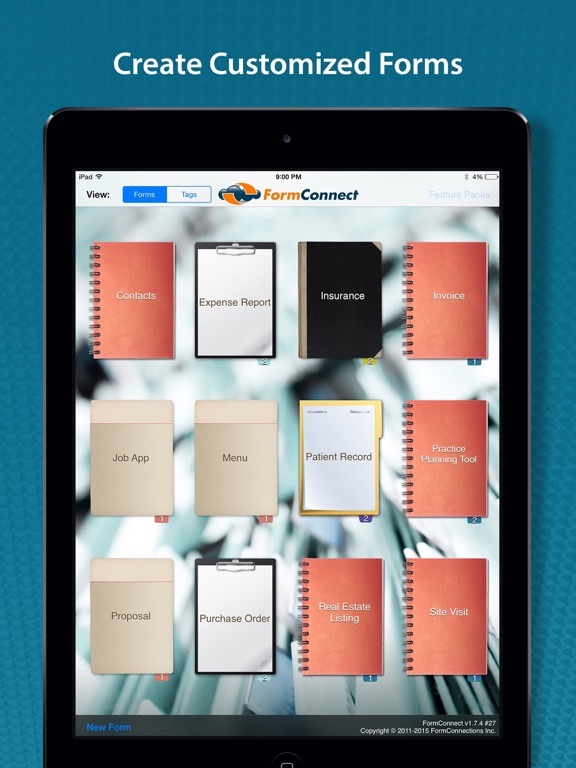 FormConnect is an easy to use app for creating business forms for your iPad and iPhone. 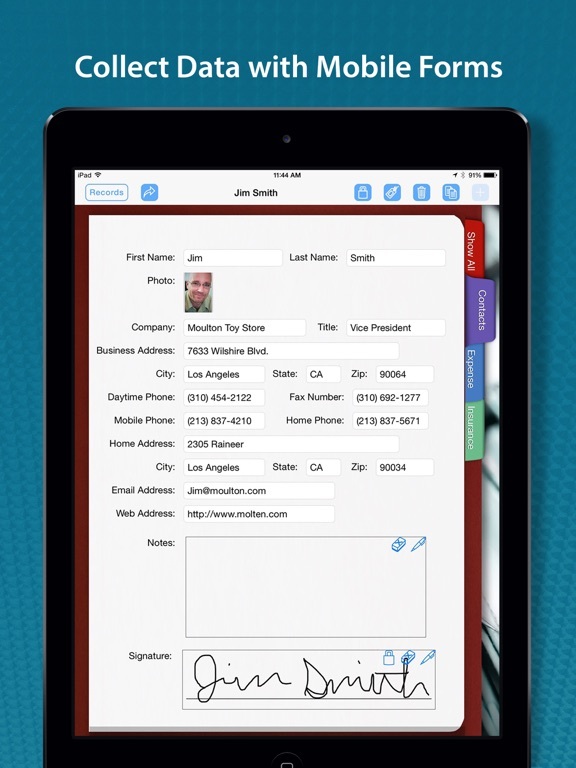 Its simple design allows you to customize the forms the way you want them to look. 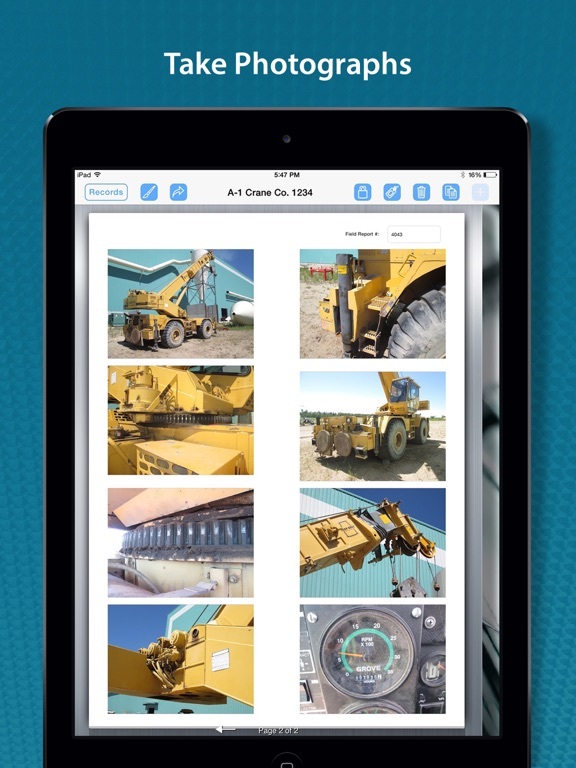 The app comes with several pre-built templates to choose from. Pick whichever one you like or build your own. 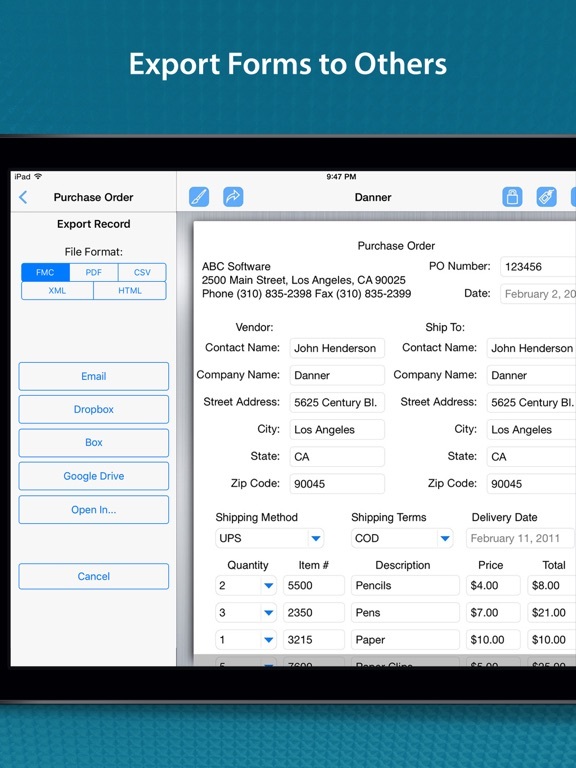 Customize them with text, check boxes, drop-downs, radio buttons, photographs and signature fields. • Easy to use form designer tool. • Choose from multiple field types (text, checkbox, drop down, radio buttons, signature, labels, notes, etc.). • Adjust the size and length of a field. • Copy and paste fields. • Navigate a page via a finger swipe. • Select from multiple theme types (folder, clipboard, binders etc.) to change the look of the form (iPad Only). 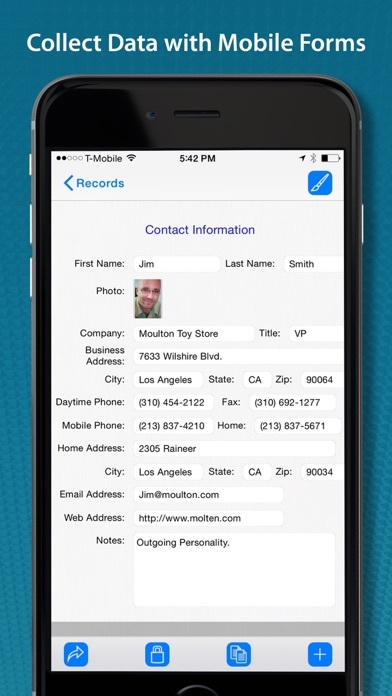 • Enter data using the touch screen or external keyboard. 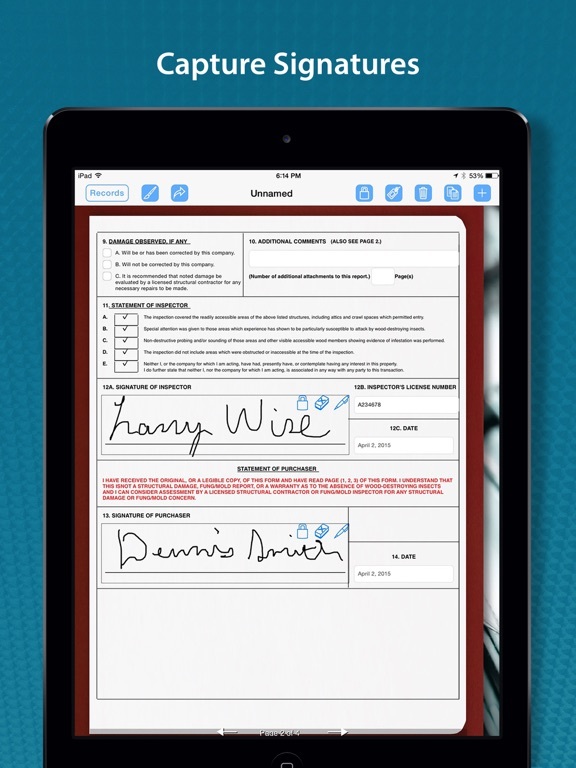 • Capture signatures with a stylus or your finger. • Import pictures from your photo album. • Snap pictures with the built-in camera. • Annotate on top of a photo. 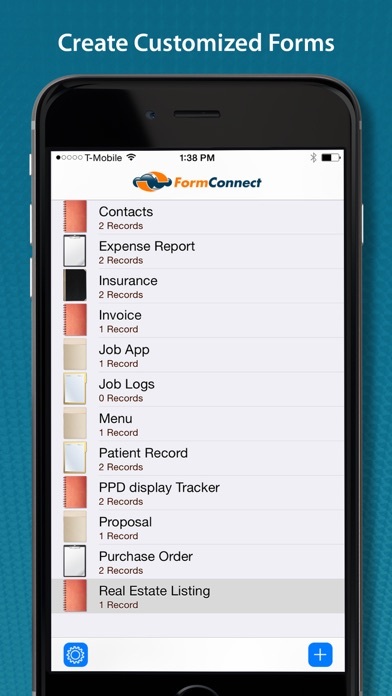 • Share forms with other FormConnect users. 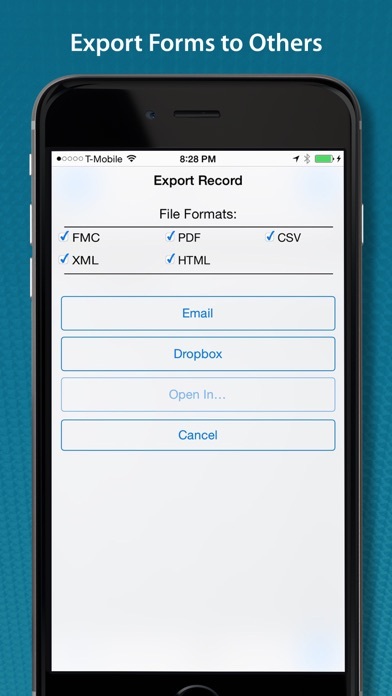 • Export data into any of the following formats: (PDF, CSV, XML, HTML, FMC). 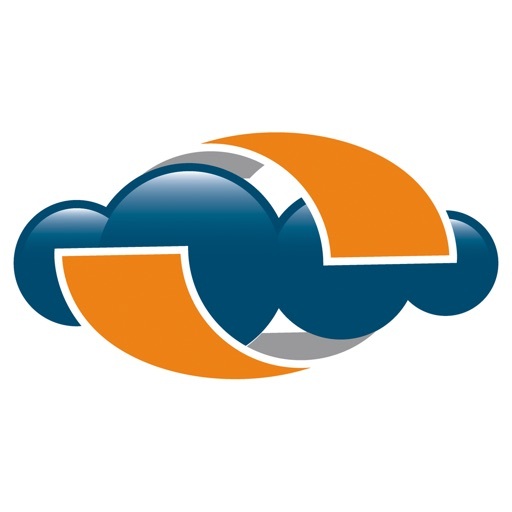 • Import data from a CSV or XML file. • AirPrint wireless printing support. 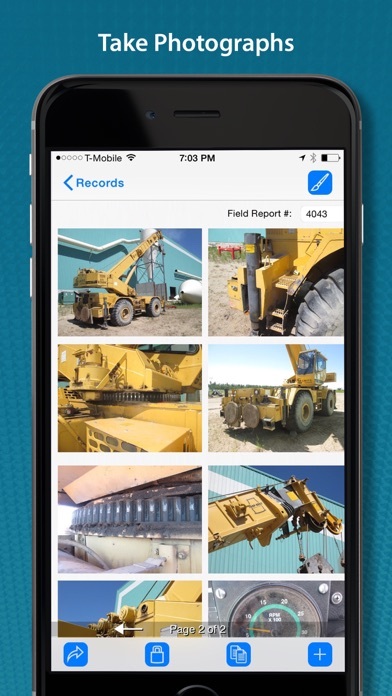 • Aggregate records from multiple iOS devices. 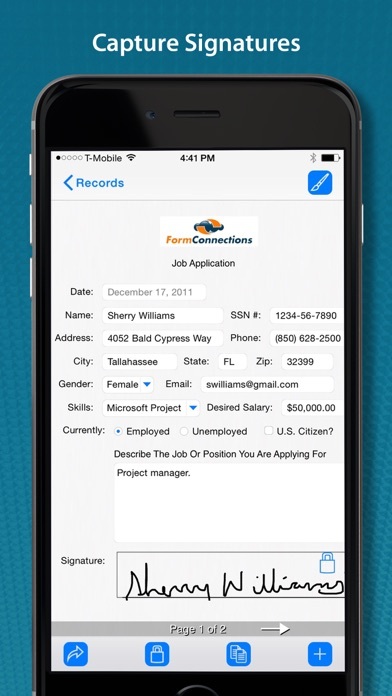 • Pre-populate fields when adding new records. • Lock a form so that it cannot be modified. • Auto increment a numeric field. • Support for adjusting font sizes. • Text formatting (bolding, italicizing and coloring). • Field Alignment (left, right and center).